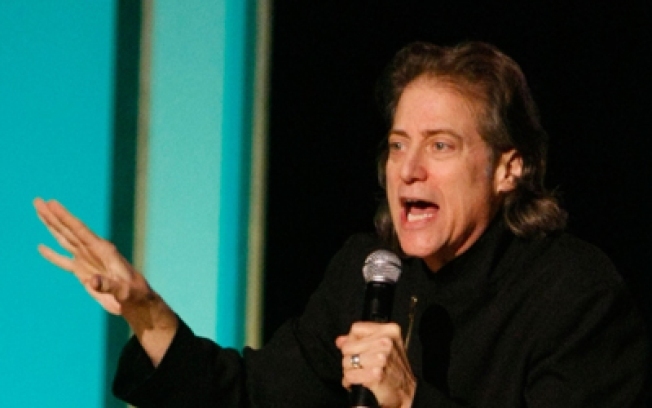 Town Hall welcomes "An Evening with Richard Lewis, and Richard Belzer and the Belzonics" on Saturday. Consider yourself warned. NEUROTICA: "An Evening with Richard Lewis, and Richard Belzer and the Belzonics" pretty much speaks for itself. Don't drink anything beforehand, lest you have to hit the loo and miss any of the kvetching. Town Hall, Saturday 8PM. VOGUE: They're not ads, but the arresting images in the show This Is Not a Fashion Photograph -- taken by famous lensers like Waker Evans and Weegee -- have left such an indelible mark on contemporary fashion's iconic images (we're looking at you, Obsession ad), you'll be forgiven for any confusion. Opens Friday, runs daily through 5/3 at the International Center of Photography (hours vary). OX ON: Joe's Pub welcomes a raucous crew of musicians readying to funk the Chinese new year (welcome, ox!) into being at Fu-Yeah Yeah 2009, with some African rhythms and jazz thrown in. Saturday, 11:30PM. L TO PAY: The L Word's last season debuts tonight, and that can only mean one thing: a big, throbbing screening party with DJs spinning afterwards at Pacha. Sunday, 6PM. DIP: You have to ace the Manhattan Amateur Classic Dance Competition to make it to the nationals, so the heat is very much on at the Manhattan Dance Center all this weekend, when contestants aged from 8 to 80 will show off their DWTS-style moves. Friday through Sunday, times vary.